Imagine walking out your front door and straight onto the slopes. No walking in ski boots, no bus rides, simply step into your ski's or snowboard and start skiing. Such is the life at Chateau Chamonix. 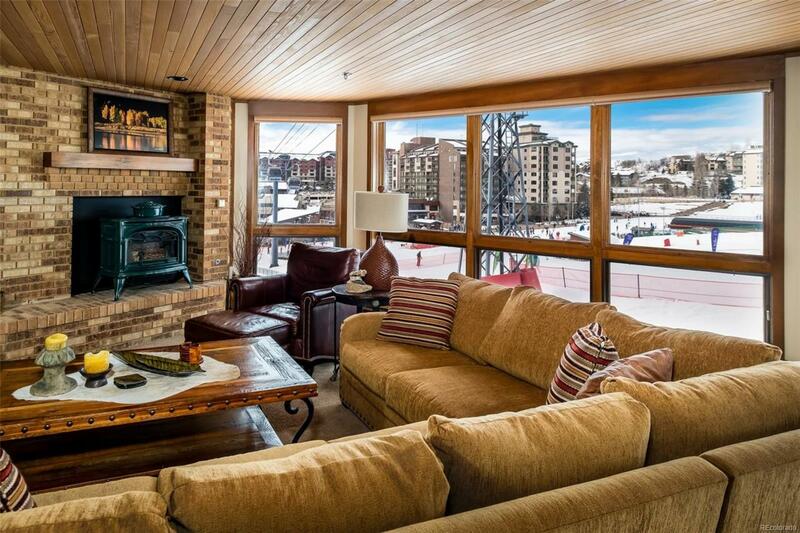 This fully furnished ski condo is completely updated with designer decor and superior attention to detail. The kitchen is beautifully appointed with custom cabinetry, granite countertops, and equipped with all of the culinary accoutrements necessary to create a 5-star meal. The larger two-bedroom floor plan makes entertaining a breeze. In the dining room you will find a dry bar and wine cooler to assist in the best Apres Ski in Steamboat. Just off the dining and living room is your private balcony overlooking the Kids Vacation Center, Snow School, Gondola Square and stunning Mt. Werner. Chateau Chamonix amenities are some of the finest, offering a rolling ski storage service, boot drying rack, indoor/outdoor heated pool, hot tubs, sauna, shuttle, fitness center, owners lounge, and more!